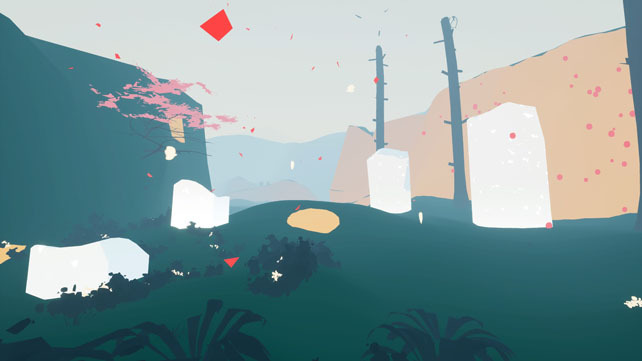 …Shape of the World is a walking simulator (it needs saying twice just in case it hasn’t come across in the first 100 words), but it’s one with a difference. 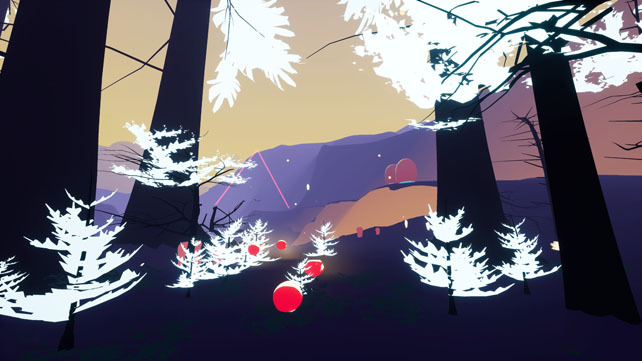 The only objective in the game is to stroll across vividly coloured landscapes whilst trees, shrubs, rocks and wildlife bounce into existence around you – picking a direction and moving along is like painting an environmental canvas with your virtual feet. Barren land around becomes filled with growth and packed with creatures that frolic, play and get out of your way as ambient tunes layer themselves up to something that would rival Ministry of Sounds finest chillout anthems. It’s an unusual experience that’s surprisingly relaxing and completely intended to be that way. There’s no danger, no peril, no timers and only the loosest of directions to follow. Glimpsed in the distance are red triangles that seem to float above the landscape begging to be investigated. Approach one and walk through and the world instantly changes colour scheme like you’ve just hit a Zone target in the WipEout Omega Collection. The sound and music get overhauled and the journey continues to explore new terrain. Flora and fauna might only appear when you are near, but there are strange rocks dotted around that bring some interaction into play. Activate a stone sequence and a pathway through the sky appears that acts like a travelator to a new destination complete with enhanced speed and the tickety-tickety-tick of a metronomic beat that slides seamlessly into the background music. Interacting with the tress and plants that spring up will cause them to disappear whilst giving a burst of speed, and later on there are ways of flinging yourself great distances through the sky. The first five minutes make you think that this is simply about moving from A to B pushing your left stick forward. Spend a bit of time exploring and you find there’s more than meets the eye. The hook in Shape of the World is really the procedural generation of the population, no two walkthroughs end up being the same. Adding to that “unique to the player” biome, it gives you the option to throw seeds out into the land and grow your own glades and copses, or create impromptu fireworks displays by flinging them into the air. Different seeds are found tucked away for discovery, encouraging further digging around in the nooks and crannies to see what can be planted next. With a couple of simple control prompts at the beginning, there’s little in the way of instruction, and with it being so intuitive (whether that’s through the colouring, shapes or crosshair) it doesn’t need it. It really is about letting the player wander around at their own place and just enjoy what’s being created. 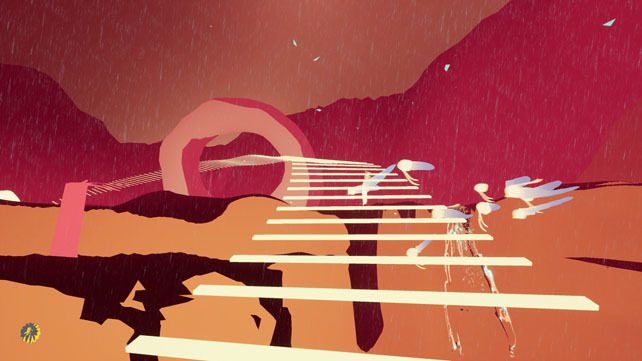 Shape of the World is an intriguing game that puts me in mind of a number of titles that hit the PS3 in its early days – things like Linger in Shadows and Datura that were tech showcases and quite abstract. 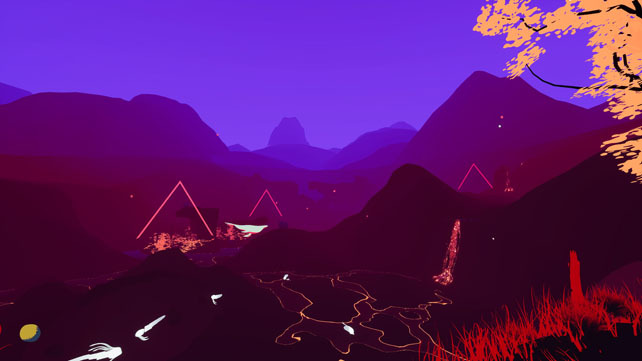 It also made me think of Rez in the way the music is expanded on with progression, though it isn’t the same frenetic electro here; and Flower in the way it uses bold colours and nature. Yet it’s not a copy, it just evokes a measure of familiarity that’s hard to place. 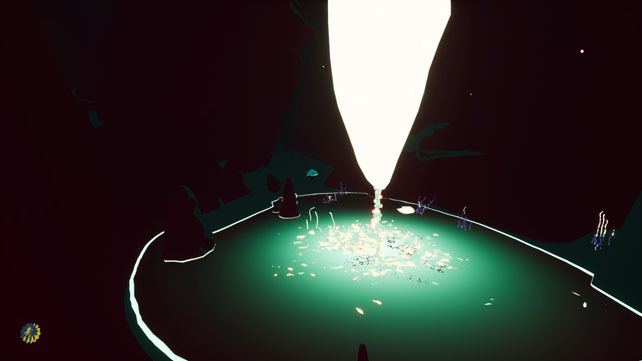 It’s the gaming equivalent of a lava lamp – fluid, unhurried and mesmerising. Definitely one to pick up if you’re looking for a chilled out couple of hours. 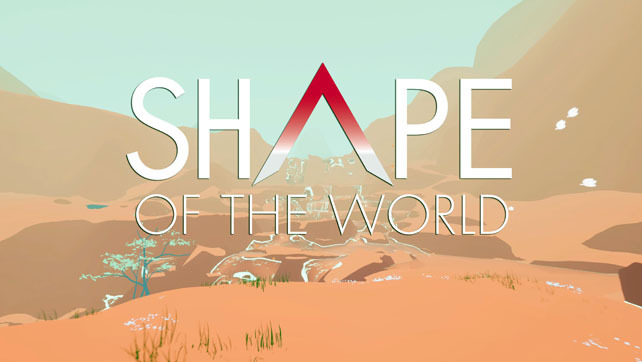 A PS4 review copy of Shape of the World was provided by the Hollow Tree Games PR team, and the game is released on the 6th June on Xbox One, PC and PS4 for around $15/£12/€15.